It’s a new book! I’m excited to announce that Take Control of Your Digital Photos on a Mac is now available as a standalone ebook. Although this was always destined to be a Take Control ebook, we turned it into a (highly successful) experiment. As I finished each chapter, we published it at TidBITS, with everything after Chapter 1 available only to TidBITS Members. The idea was to spur memberships and also get feedback on the work in progress. In fact, my original outline for the book included eight chapters, but I added a ninth after discussions with readers (“Migrate Photos to a Different App”). TidBITS members can continue to read the chapters online for free, or buy the ebook at 30% off (just $10.50!). Why bother taking photos if you can’t find them later? If you want to be able to lay your hands on any given photo in your ever-expanding library, digital photography expert Jeff Carlson has developed a simple system you can use to make your photo collection browsable, searchable, and generally navigable! The ebook includes the same content as the articles, updated here and there based on feedback and in the final editorial passes. All references to sections within the book are linked to make it easy to traverse the topics. Take Control does a great job making ebooks that are functional, easy to read, and easy to navigate. The second reason for the title change is simple marketing: Now that the book is available to anyone, not just Mac-focused TidBITS members, we didn’t want anyone to be disappointed to not find more Windows-specific topics. 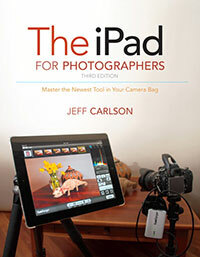 For more behind-the-scenes information about how we published the book, tune in to an interview I did with Chuck Joiner for MacVoices: MacVoices #13177: Jeff Carlson Finishes Up Take Control of Your Digital Photos On A Mac. I hope you purchase and enjoy the book. It’s an idea I’ve kicked around for several years, and writing it as a Take Control ebook turned out to be a particularly good fit. I want to thank Adam and Tonya Engst for publishing it, and especially my fantastic editor Kelly Turner for helping shape the text. 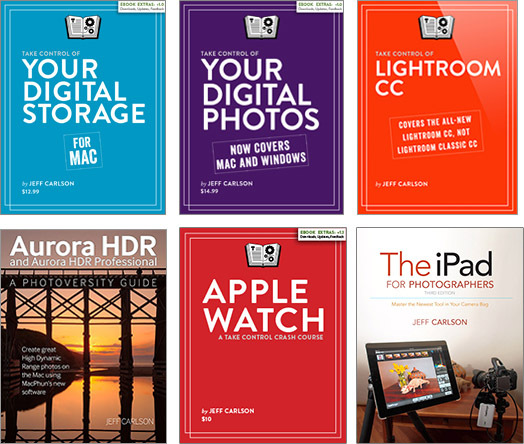 Take Control of Your Digital Photos on a Mac is available now for $15 from Take Control Ebooks (with a 30% discount for TidBITS members). You can download PDF, EPUB, and Mobi (Kindle) versions to put on all your devices. 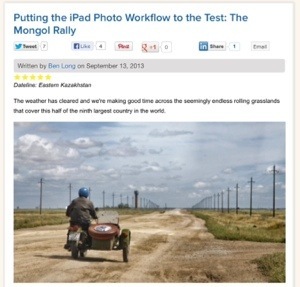 I expect the book will also soon be available from the iBookstore.